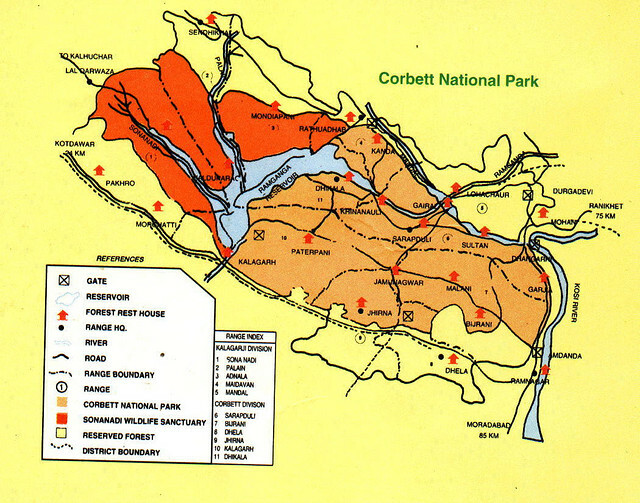 Altitude of the Corbett Park: 400 Mt. – 1200 Mt. The Jim Corbett National park has been the first choice for the wildlife lovers since tremendous years. Being India’s first tiger reserve and national park under the project tiger, Corbett has many placid options for an ultimate wildlife tour. Located in Garhwal and Kumaon area in the Nainital district of Uttarakhand, Corbett along with Ramnagar area brings amazing tiger sighting options. The vegetation in Corbett Reserve is simply impressive and suitable for sustaining different kind of species. Almost 73% of the entire forested region is being covered with lush vegetation where the main flora found in the reserve is Sal, Khair, Ber, Kuthber, Bel, Chbilla, Dhak, Semal, Khingan, Kharpat, Rohini, Bakli, Pula and Bamboo. The fauna diversity found in the Corbett Tiger Reserve is the main reason that captivates tremendous wildlife lovers to pay a visit to the tiger’s land- Corbett. Pleasingly, Corbett is home to over 585 species of birds, 7 species of amphibians, 33 species of reptiles, 7 species of fishes and 37 species of dragonflies. Although the main highlights of Jim Corbett Park are the endangered Bengal tigers, Leopards and crocodiles; yet other wildlife animals like Sambas, Hogs, Otters, Boars, Elephants, Sloths, Gorals, Pangolins and Langurs can also be easily spotted here. 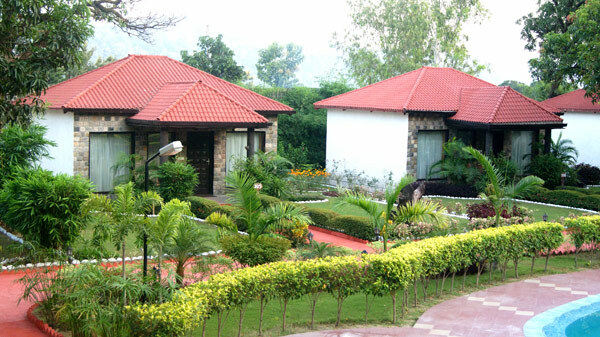 The Corbett Park is residing at an elevation of 385 and 1,100 meters above the mean sea level. The appropriate geographical atmosphere of Corbett has made this land a perfect spot to apply the main objective of Tiger Project, an Indian wildlife protection initiative. The park has sub-Himalayan belt ecological or geographical characteristics. It’s a perfect ecotourism destination that contains 487 different species of plants or a diverse type of fauna. It is the land where you can discover different ridges, small plateaus, minor streams and ravines and also encompasses the Patli Dun Valley to from the Ramganga River. The climate of the Corbett Reserve is temperate throughout the year where the winters (November to February) have the temperature variations of 5 °C to 30 °C. Mornings are foggy in winters but afternoon can be much enjoyable for the safaris. The summers (March to May) are equally pleasant knowing the fact that it touches around 30°C on an average to enjoy the safari experience at the jungles. On the other hand, monsoons (June to September) witness heavy rainfall at the peak season but still it is the most perfect time for the visitors to witness great ranges of wild species but some zones of the park are closed during monsoons. 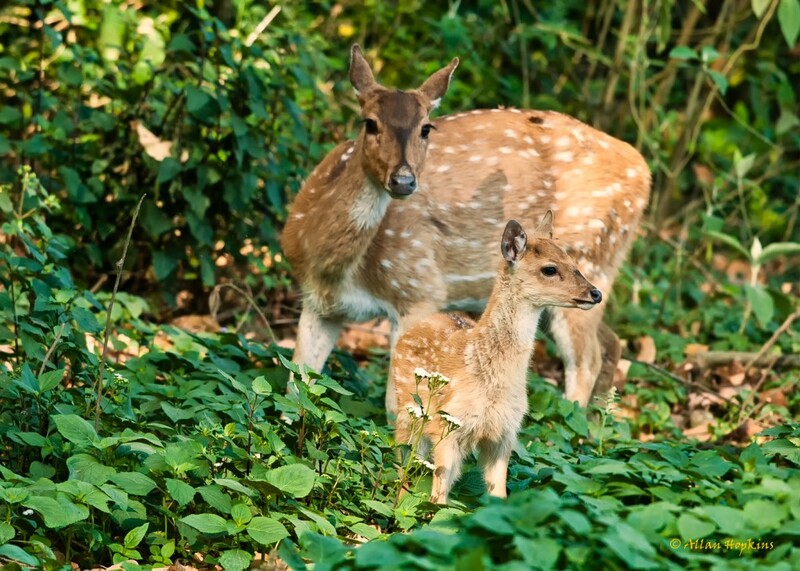 The best time to visit the Jim Corbett National Park is November to June. 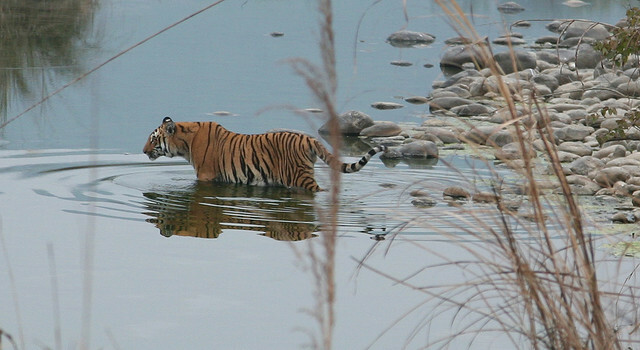 The main attraction of the Corbett National Park is its majestic tigers. Tourists come here usually to encounter this majestic creature but apart from that the other attractions are Corbett Museum, Corbett Waterfall, Garjia Temple and different safari zones like Dhikala, Bijrani and Jhirna. Corbett Leela Villas, Corbett Hideaway, Dhikala Forest Lodge, Infinity Resort, Corbett Machaan Resort and much more for the best possible stay at the Corbett reserve. The Corbett hotels and resorts are designed so to bring the best services and amenities for their guests. By Air: Delhi (300 km) is the nearest international airport. Phoolbagh, Pantnagar at a distance of 50 km is the nearest airport. By Road: Dhikala is approx 300 km from Delhi, 403 km from Lucknow and 51 km from Ramnagar. The route from Delhi spans Hapur-Murababad-Ramnagar. The turn off is some 7 km beyond Muradabad to the left, marked by a small board. The route from Lucknow spans Bareilly, Kichha, Rudrapur, Doraha, Kashipur. 5- How to plan an adventurous trip to a National park?